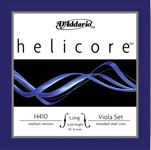 D'Addario Helicore are steel strings and offer good value. The Zyex strings are a synthetic composite core string. Zyex tends to sound a bit brighter and have less tension than the Helicores. 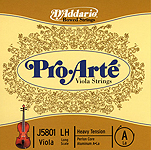 The philosophy behind the Pro-Arté Viola strings is that they are a synthetic engineered strings to sound more like gut, without the hassles of gut strings: the strings wear and last longer. 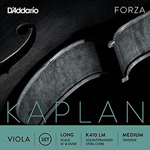 New Synthetic Kaplan Forza, Kaplan Vivo nad Kaplan Amo very warm responsive.